Former Obama Deputy Assistant Secretary of Defense, Evelyn Farkas, made some stunning admissions during an interview with MSNBC's Mika Brzezinski. The Trump folks, if they found out how we knew what we knew about the Trump staff dealing with Russians, that they would try to compromise those sources and methods, meaning we would not longer have access to that intelligence. 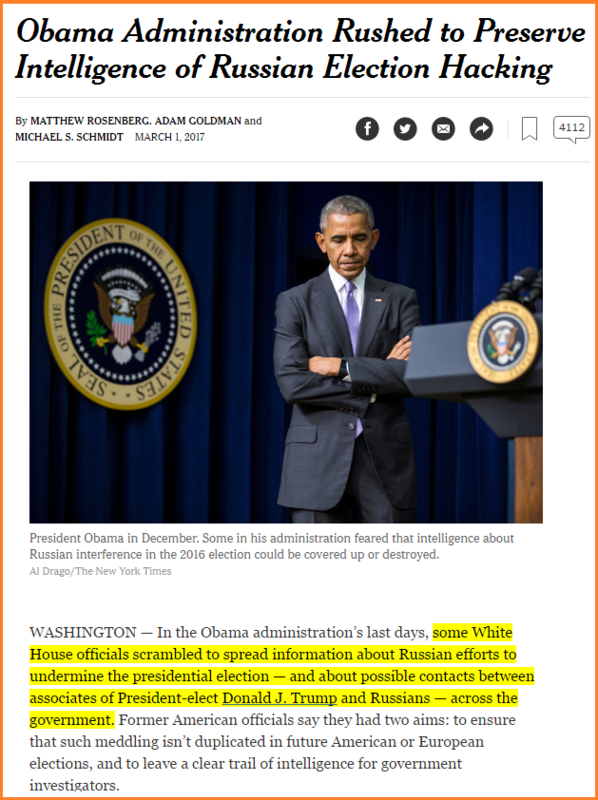 Furthermore, Farkas effectively corroborated a New York Times article from early March which cited "Former American officials" as their anonymous source regarding efforts to leak this surveillance on the Trump team to Democrats across Washington DC. I became very worried because not enough was coming out into the open and I knew that there was more. We have very good intelligence on Russia. So then I had talked to some of my former colleagues and I knew they were trying to also get information to the hill. That's why you have the leaking. In other words; the Obama administration was concerned about spoliation of evidence gathered through various "sources and methods" of surveillance, so a plan was hatched to leak this information to congress - also known as "The Hill." Possible conspiracy to frame Russia for the DNC server breach? 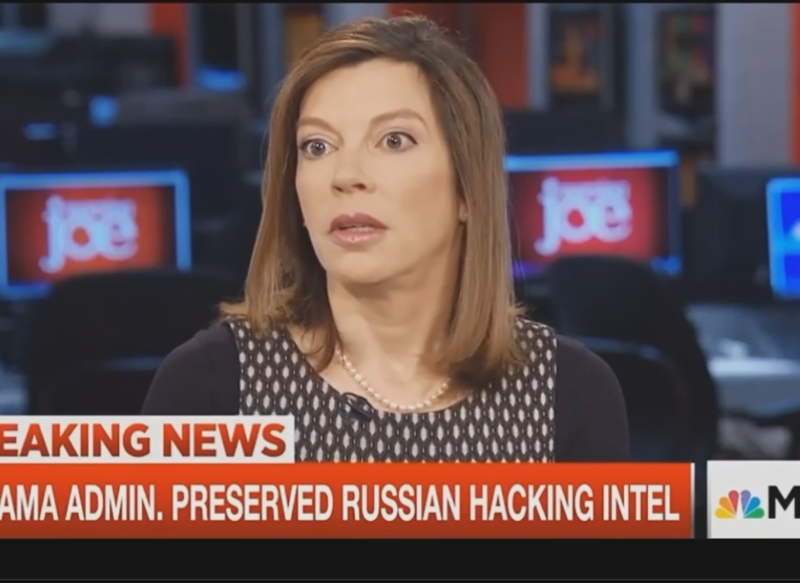 On a related note, Evelyn Farkas is also a senior fellow at the vehemently anti-Russia Atlantic Council, along with Crowdstrike founder Dimitri Alperovitch. The Atlantic Council is funded by the US State Department, NATO, Latvia, Lithuania, and Ukranian Oligarch Victor Pinchuk. Notably, CrowdStrike has recently been discredited - and was forced to retract evidence used in a botched report on Russia hacking Ukranian military equipment. The White House surveilled the Trump campaign and then leaked information to anti-Trump allies in congress (also known as "The Hill"). The Russian hacking claim hinges on a CrowdStrike Report from Dimitri Alperovitch. Alperovitch was forced to retract statements in a report blaming Russia for hacking Ukrainian military equipment - a failed attempt to smear Putin. Alperovitch, along with White House Leaker Evelyn Farkas and Ukrainian Oligarch Victor Pinchuk, are all senior fellows on the Atlantic Council - which is vehemently anti-Russia. Is it a stretch to suggest that the CrowdStrike report on the DNC hack was fabricated to pin the DNC hack on Russia? "We initiated a counter-coup through Julian Assange, who's been very brave and really quite formidable in his ability to come forth and provide all the necessary emails that we gave to him to undermine Hillary and Bill Clinton." In other words, 'white hats' within US intelligence agencies passed the emails to Julian Assange in order to wrestle control of the USA out of the hands of the Clinton cabal of Neocon globalists. It's also quite likely that Seth Rich, the mysteriously murdered DNC computer expert, assisted this effort. Recall that Wikileaks, while they would not confirm Rich as a source, offered a $20,000 reward for information leading to the arrest of Rich's killer(s) - and then raised it to $130,000. Simply read between the lines during this Julian Assange interview. At best, the Atlantic Council connections between a member of Obama's DoD who leaked surveillance intel to congress, an increasingly suspicious Crowdstrike report, and a Ukrainian oligarch are mere coincidence. At worst, we may be looking at massive treason committed against an incoming US President.